After a couple snoozer episodes, I really dug this past week's episode of the Walking Dead, titled "Consumed". 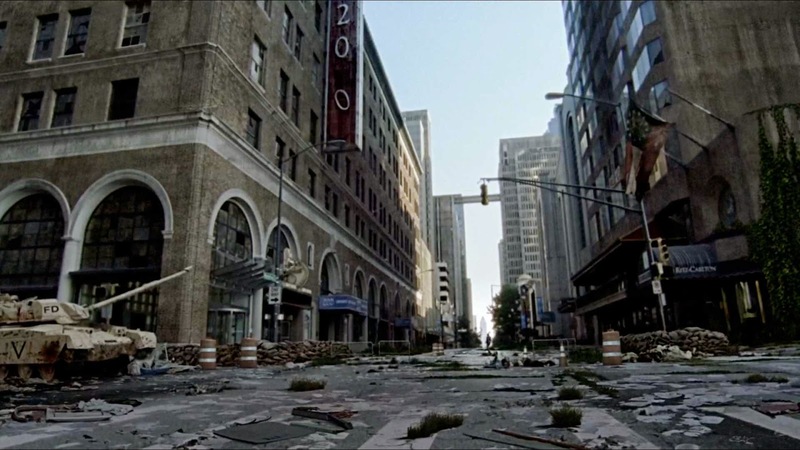 Some great post-apocalyptic scenery as Carol and Daryl returned to explore the ruins of Atlanta in search of Beth. And I am certainly a sucker for exploring desolate apocalyptic urban landscapes...for some reason, strangely beautiful and fascinating. Felt a bit like the zombie classic 28 Days Later. Thumbs up to the show here for some good work here. Excellent cinematography, set design, etc. And cool to revisit some of the iconic places from earlier in the series. Next week should be action-packed, as Daryl rallies the troops and brings 'em in guns blazing to rescue Beth and Carol.